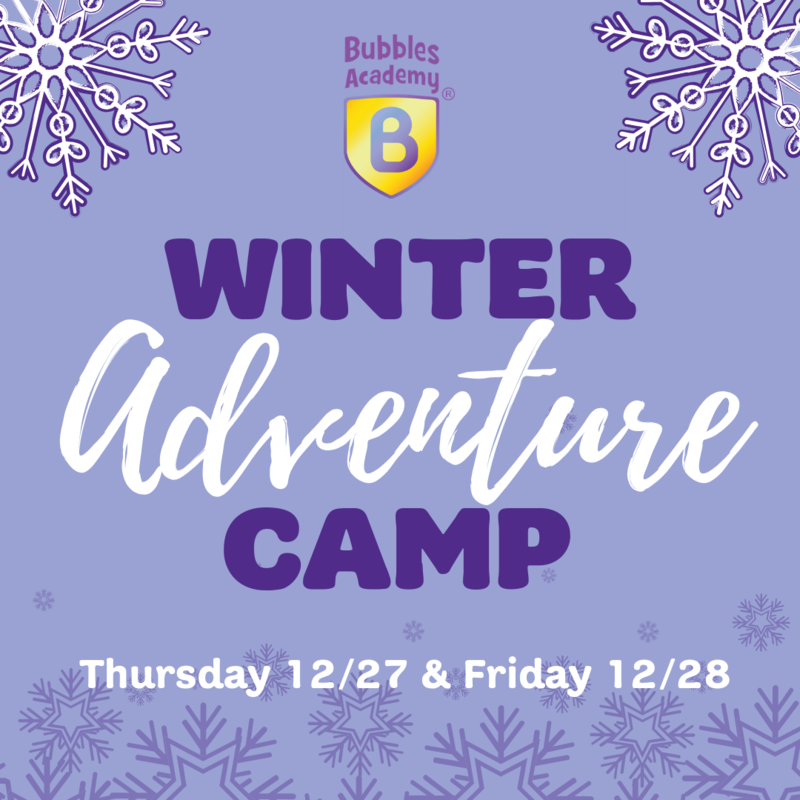 You’re invited to join us for a Winter Adventure Thursday 12/28 and Friday 12/29! Children ages 3 – 6 are invited to join us for two mornings packed with play, art, music and adventure! Each day includes open choice activity centers and sensory activities, circle time, winter-themed songs, dancing, science and art projects, a healthy lunch and open play in our full combined Meadow & Mountain Rooms. Includes special guest classes with Buddha Belly Kids Yoga on 12/27 and Stages Performing Arts on 12/28! Limited spaces! Camp will fill quickly, reserve your spot today!